Washington, DC — The Secular Coalition for America released a statement today welcoming the new Executive Director of the Secular Student Alliance (SSA) Kevin Bolling. Kevin brings with him 20 years of nonprofit leadership experience including over 10 years of student association management and on-campus program development from Los Angeles to Boston. 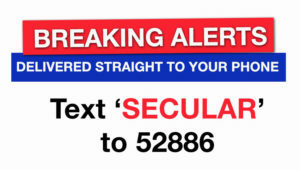 The Secular Student Alliance has been a member organization of the Secular Coalition for America since 2003.